Died of wounds on 25 April 1915, aged 27 years. Edwin Williams was born in Holywell, Flintshire on 6 February 1888. His parents were Robert Williams, born 1859 in Brynford, Flintshire and Hannah Williams (nee Evans) born 1860 in Gronant, Flintshire. The 1901 census shows that the family lived in Lily Terrace, Brynford, Flintshire. The head of the family was Robert Williams aged 42, who was employed as a Postman in Holywell. His wife Hannah Williams aged 41 and their 6 (six) children – Edwin Williams aged 14, William Williams aged 12, Robert Williams aged 9, Myfanwy Williams aged 7, John Williams aged 4 and Hannah Williams aged 2 years. Edwin was educated at Brynford School and on leaving obtained employed at W. Williams Printing Works, High Street, Holywell and then at Holywell Post Office, where his father worked. The 1911 census shows that he is now living at Talacre Stables, Prestatyn, Flintshire and is working there as a Groom. It is not known why or when he emigrated to Canada, but we do know that in 1914 he was employed in Ontario as a Chauffeur. On Wednesday 23 September 1914, he enlisted in the Canadian Over-Seas Expeditionary Force (Saskatoon Fusiliers) at Camp Valcartier, MRC de la Jacques-Cartier, Quebec and joined the 8th Battalion, Manitoba Regiment. He is described on his Attestation Papers as 5’6″, Fair Complexion, Brown Eyes, Brown Hair and fit for Military Service. 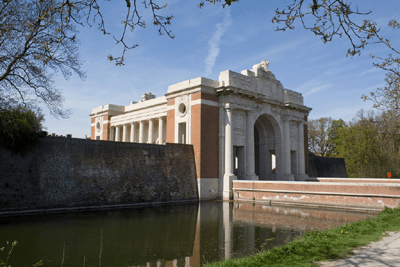 He travelled with the Regiment to France and served there and also Flanders. He died of wounds at a Casualty Clearing Station on Sunday 25 April 1915. Flintshire Observer 29 April 1915 – Holywell-Canadian wounded in action in France. Mr Williams of the Calcot Arms, Milwr, Holywell, whose son Edwin is in the 8th Battalion, Canadian Infantry has received intelligence of his son having been wounded in action in France. The communication states:- Canadians Record Office, 7 Millbank, London. April 23 1915 – Sir, I regret to have to inform you that a report has this day been received that No. 21538, Private E. Williams, 8th Battalion, Canadians, was wounded in action in France on 16 April. I am at the same time to express sympathy and regret of the Military Council. Any further information received in the office as to his conditionj will be at once notified to you. Major Armstrong. Flintshire Observer 13 May 1915 – Reported Death of a Holywell-Canadian. Last Saturday morning Mr & Mrs Robert Williams of the Calcot Arms Public House received sad news. A telegram was delivered stating ‘ Regret to inform you that No. 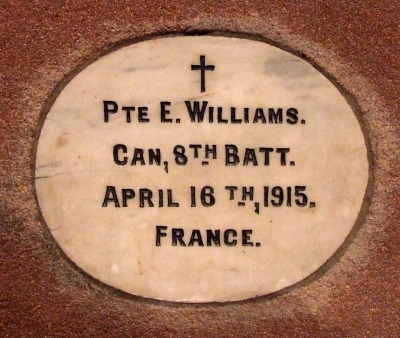 21538, Private E Williams, 8th Battalion, Canadians (Infantry), formally 11th Battalion has been killed in action’. The above, following a communication of 23 April from The Record Office that Private E Williams was wounded in action in France on 16 April, and is now in a Base Hospital appeared confusing. In the Times list of casualties, the names of McDonald and E Williams of 8th Battalion were given as wounded. Private Edwin Williams was 28 years of age, the eldest son of Mr Robert Williams. He was educated at Brynford National School, under the late Mr Richard Jones. Leaving school he was for a short time at the printing works of Messrs W Williams & Son, High Street, Holywell. Afterwards he was for a short time at the Holywell Post Office, subsequently going to the hunting stables at Fickleworth, Sussex and later entering the service of Mr Whitehead of Hargate Hall, and then went in for motoring, taking lessons at the Dee Motor Works, Chester, and was appointed Chauffeur to Mr Harding, Agent of Vaynol Estate. Three years last Good Friday he went out to Canada and became attached to the Ford Motor Works, Ontario. When war broke out the Canadian contingent was leaving Canada, he was at the port of embarkation, and there saw several who hailed from this part of the Principality. The desire to take his share in the war took hold of him, and he was soon crossing the Atlantic and went through his training on Salisbury Plain. He was one of the old boys in the Holywell Church Lads Brigade and writing home last Easter he spoke of receiving his Easter Communion from the Lord Bishop of London. On Tuesday afternoon Mr & Mrs R Williams received a communication from Lord Kitchener stating ‘ The King commands me to assure you of the sympathy of His Majesty and Queen in your sorrow’. Edwin’s younger brother William Williams served in the Royal Welsh Fusiliers during the war. 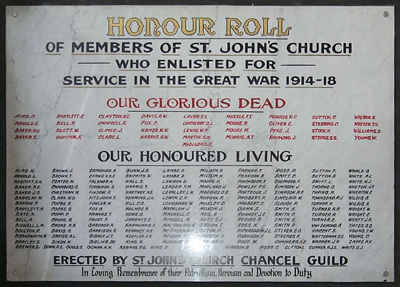 He died on Sunday 1 December 1918 at The Military Hospital, Oswestry, Shropshire and was buried on Tuesday 3 December 1918 at St. Michaels Churchyard, Brynford, Flintshire. His name appears on the Holywell and Brynford War Memorials. Plaque at St James Church Wall, Holywell. St. John’s Cathedral Memorial, Saskatoon, Canada on which Edwin William’s name appears(last column in red, third name down. 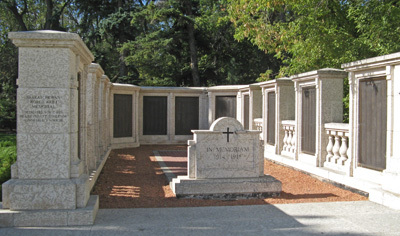 Saskatchewan World War One Memorial was dedicated in 1995 in memory of 5,348 young men and women from Saskatchewan who were killed in the First World War. This memorial is located just west of the Saskatchewa Legislative Building in Regina, near Wascana Lake and the Albert Memorial Bridge.